Five years ago, the USC Trojans went all-out to land a premier tailback talent out of Bishop McDevitt High School in Harrisburg, PA. And though they failed to sign former Pitt Panther and current Philadelphia Eagle LeSean McCoy in the class of 2006, that attempt could pay off in a big way with class of 2011 standout Jameel Poteat. Maybe next time, there, cheaters. I've got to say it's great news, but I'm mildly shocked by the exuberance of Pitt fans hailing this as the second coming of Tony Dorsett. Or far worse than that - those claiming this suddenly vaults Pitt amongst the elite. Poteat is good to be sure. I'll even call him a great recruit. There have been mentions out there that he had over 40 offers...though I'm sure he never came close to really considering that many schools. Those offers came from schools such as Florida, USC, Notre Dame, and Tennessee. He's rated as a four-star recruit by both Rivals and Scout and both sites rate him as the #15 running back in the country. On top of all this, the underlying theme is that Dave Wannstedt continues to not only pursue big recruits, but he's getting some of them. Even the group of his greatest detractors (of which I've been a card-carrying member at times in the past) cannot dispute his ability to recruit at a level significantly above Pitt's actual success on the field. I'm not convinced that Pitt fans can point to this commit and proclaim themselves as getting close to moving in amongst the elite. Poteat is a fine player, but he's not even a five-star recruit by most (if not all) accounts. This is far from a monumental signing by any means. Need further proof that Pitt has a lot of work to do? All you need to do is check out this list of Scout's most recent recruiting rankings. Pitt checks in at #20 after the Poteat signing. That's pretty good and when it's all said and done, this could even be a top 10-15 class. But that's not the important part. Check out the number of five-star recruits and top 100 recruits. Pitt has zero and one respectively. Compare that to some of the top schools: Texas (10/7), Ohio State (5/2), and LSU and USC (4/2 each). 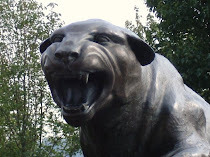 For the work that Pitt has done in moving up the food chain, they're a distant 20 behind some of those top 10 schools. This chart is just one site's opinion, but it's easy to see that there's quite a disparity between some of the elite schools and Pitt. That's not to say that Pitt isn't making progress - they're taking remarkably large steps compared to the Walt Harris era. 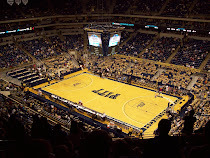 The good news for Pitt fans is that while programs aren't built overnight, the school is doing everything it possibly can to speed up its return to prominence. Pitt is not going to land five-star prospects in bunches after a couple of good seasons. It's going to take a while, but the school is on its way. So for that I tip my hat to Wannstedt. However, for Pitt to be considered a serious player, landing guys like Poteat will need to become a regularity - not a special occasion. so now that we're getting our share of 4 star recruits, you're actually complaining they aren't 5 star? No, not complaining at all...which is why I repeatedly tried to say that Pitt is doing an amazing job. I'm merely saying that to be considered among the elite, Pitt will need to land some five-star guys and consistently pull in handfuls of four-star guys. Wannstedt has done an incredible job and this should be his best class. But a lot of the talk out there that I'm seeing is mentioning Pitt amongst the elite - I don't see it that way yet. Still a good get for Pitt. This is part of what I meant by being taken seriously. No 5 star recruits at all? Wanny is doing the best recruiting job possible without any big out of conference wins. A win over Utah and/or Miami is a must. He's doing an incredible job and as I pointed out above what can be reasonably expected. Pitt is on the right track, but has a long way to go to be considered a threat by the USCs and Floridas of the world. Stuff like that takes years...decades. I like the track Pitt is on, but the excitement over this commitment caught me a little off-guard. I love the job he's doing and I want him to retire here. We badly need the stability, but tons of programs get turned around in far shorter amounts of time. I think this is the breakthrough year for the program. We just need to seize the opportunity.